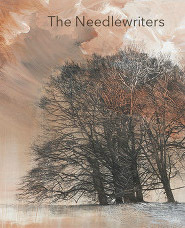 The Needlewriters, a print anthology, and its online sister edition The Needlewriters’ Companion were published in March 2015. The anthologies present work by writers who have read at Needlewriters events in Lewes since 2008, including John Agard, Ros Barber, Sasha Dugdale, Lee Harwood, V G Lee, Patricia McCarthy, Grace Nichols, Nicholas Royle, Joe Sheerin, Catherine Smith and Jackie Wills. Available from The Frogmore Press, 21 Mildmay Road, Lewes, East Sussex BN7 1PJ. You can read The Needlewriters’ Companion online anthology here.